New photos of this amazing building. 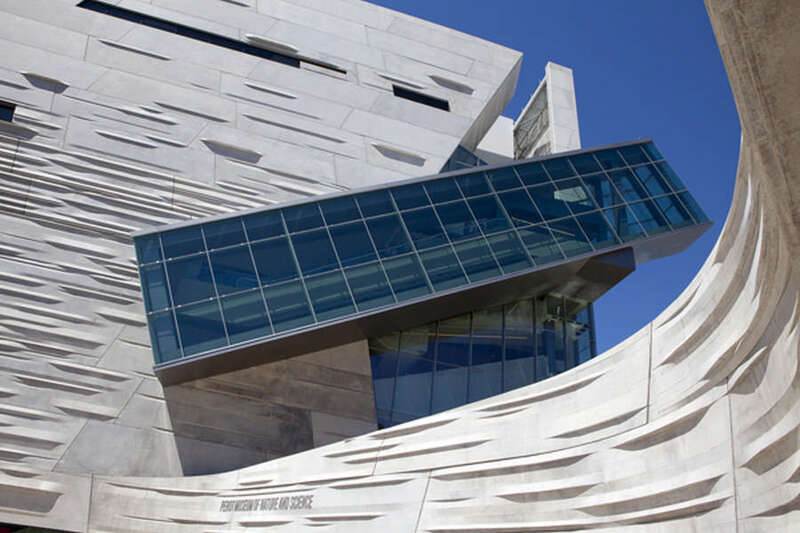 Pritzker Prize Laureate Thom Mayne and Morphosis team with landscape architectural firm Talley Associates create “living museum” inspired by nature and science. The building, designed by Mayne and his architectural firm, Morphosis, is constructed on a 4.7-acre site at the northwest corner of Woodall Rodgers Freeway and Field Street in Victory Park just north of downtown Dallas. The landscape design, created in conjunction with Dallas-based Talley Associates, serves as an extension of the building design – thoroughly integrated with the programming of space and the overall design character. The facility’s interior includes five floors of public space housing 10 exhibition galleries, including a children’s museum and outdoor playspace/courtyard; an expansive glass-enclosed lobby and adjacent outdoor terrace with a downtown view; state of the art exhibition gallery designated to host world-class traveling exhibitions; education wing; large-format, multi-media digital cinema with seating for 300; flexible-space auditorium; public café; retail store; visible exhibit workshops; and offices. Lastly, the building itself will be used as a “living” example of engineering, sustainability and technology at work. The roof deck terrace features native flora of the Texas prairies. Tucked within the landscaping is a large urban plaza – complete with cafe tables, seating and water features — which will be used for gatherings and public events. The Museum of Nature & Science – the result of a unique merger in 2006 between the Dallas Museum of Natural History, The Science Place and the Dallas Children’s Museum – is a non-profit educational organization located in Dallas’s Fair Park. In support of its mission to inspire minds through nature and science, the museum delivers exciting, engaging and innovative visitor experiences through its education, exhibition, and research and collections programming for children, students, teachers, families and life-long learners. The facility also includes the TI Founders IMAX® Theater and a cuttingedge digital planetarium. The Museum of Nature & Science is supported in part by funds from the City of Dallas Office of Cultural Affairs, the Texas Commission on the Arts and EDS. To learn more about the Museum of Nature & Science, please visit natureandscience.org.